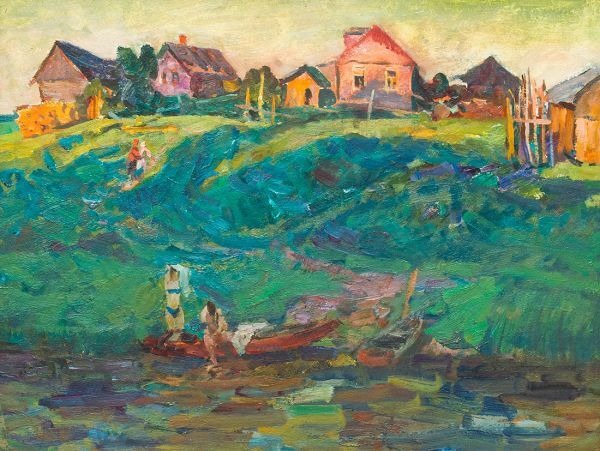 Buy works – Maksimov Konstantin Mefodievich | (1913, the Ivanovo Region – 1993, Moscow). 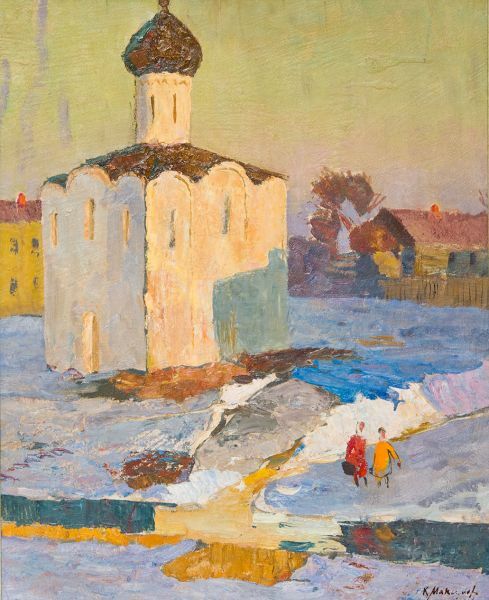 Maksimov Konstantin Mefodievich (1913, the Ivanovo Region – 1993, Moscow). 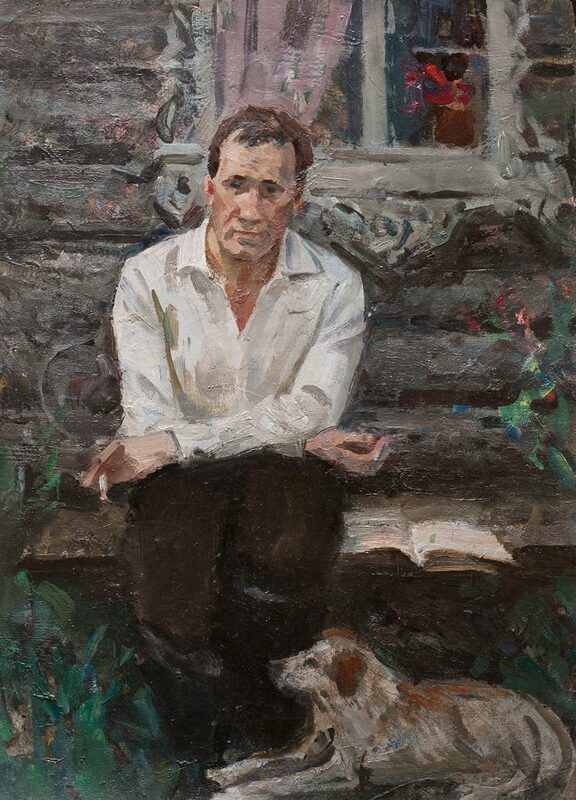 People’s Artist of the RSFSR. Laureate of the State Prizes in 1950 and 1952. 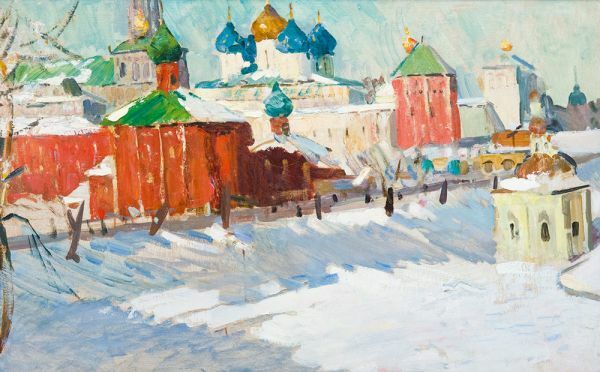 Studied at the Ivanovo Art School (1930-1935), at the Surikov Moscow State Institute of Arts (1937-1942). Worked in Moscow. Permanent participant of exhibitions since 1939. 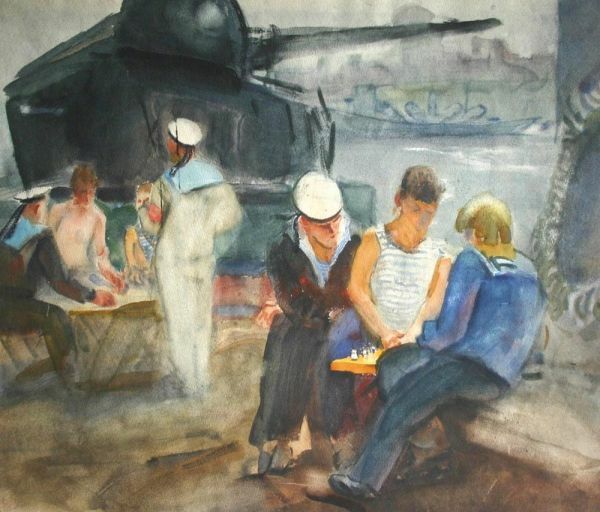 In 1954-1957 lived in worked in China by invitation of the People’s Republic of China Government. 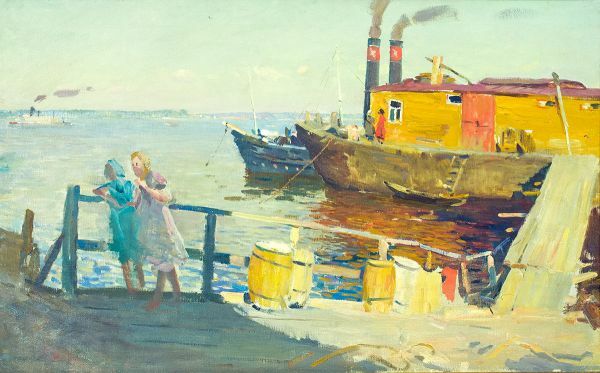 Teaching the art of oil painting and socialist realism. Master-class in Beijing. The works of K.M. 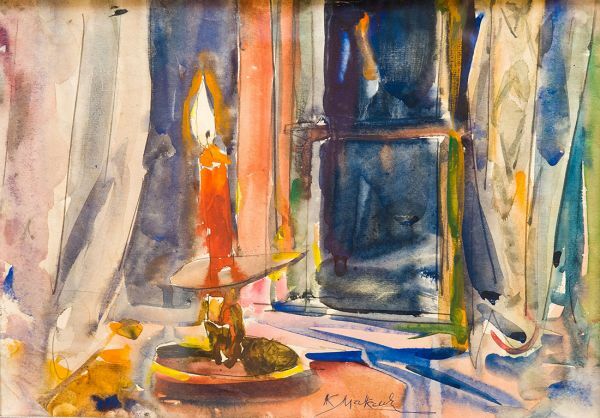 Maksimov are kept at the Tretyakov State Gallery, the State Russian Museum and in the Odessa Museum of Fine Arts. Portrait of V. M. Shukshin. Technique – Oil on cardboard. Certificate of P.M. Tretiakov Independent Research Examination. Sold. 20000 - 25000 rub. 20000 - 25000 rub. 220000 - 300000 rub. 220000 - 300000 rub. The Church of the Intercession. 90000 - 120000 rub. 90000 - 120000 rub. The candle burned on the table. 13000 - 25000 rub. 13000 - 25000 rub. 150000 - 180000 rub. 150000 - 180000 rub.